This image has been on my mind lately, as we prepare to hit the road again for our next big adventure. On Thursday, we’re leaving Durham for a quick visit to Maryland, a big family party in Philadelphia and then off to Nepal for nearly two months. That’s why I’m thinking about the photo. If you think it shows a Nepali home devastated by this past spring’s earthquake — well, good guess, but wrong. It’s actually a home we saw in New Orleans during our cross-country drive this summer. 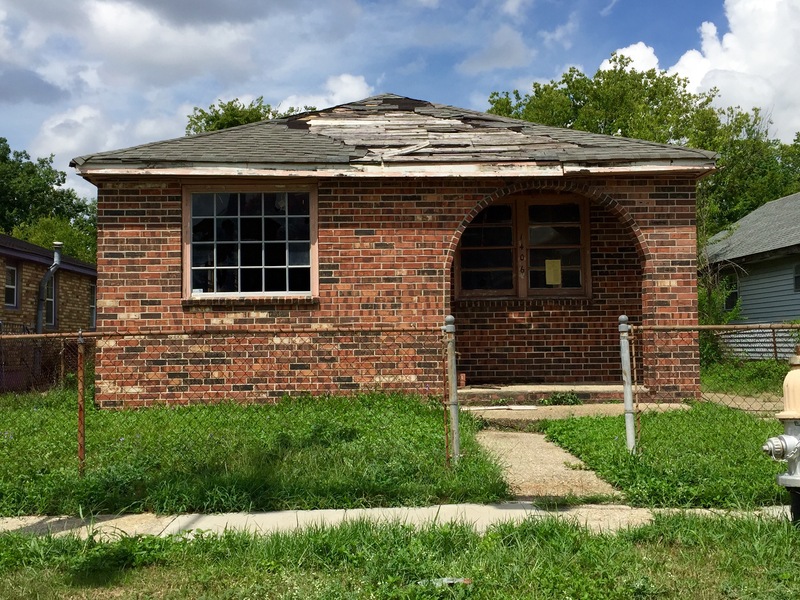 We looked beyond Bourbon Street and other tourist areas to see how the Lower Ninth Ward and other poorer neighborhoods were faring nearly a decade after Hurricane Katrina. 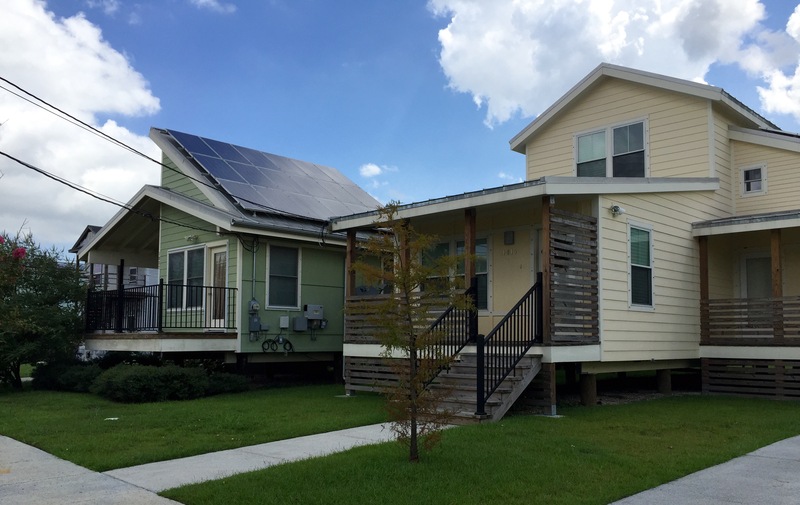 Although we saw too many homes like the one at the top, we also saw lots of newer homes like these, built by the Make It Right Foundation — Brad Pitt’s organization — and by individual homeowners. Shorty after we returned to Durham, the airwaves were filled with retrospective stories about “New Orleans, Ten Years Later.” They showed some of the same neighborhoods we had just seen ourselves. To be sure, our visit to New Orleans was brief and superficial, but still we felt a connection to what was on our screen. As I wrote during our trip, we also came face to face with California’s drought, Western wildfires, the U.S. border area with Mexico and other issues that no longer seemed so distant. Simultaneously, we explored America’s incredible beauty, history and diversity. 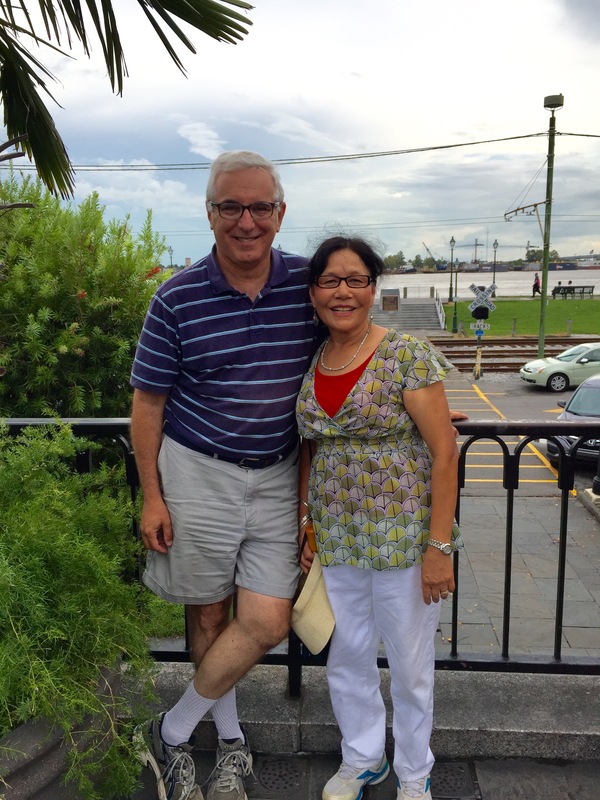 On the same day we took the photos in the Lower Ninth Ward, for instance, we had a great time strolling across town along the Mississippi River, shown here. In general, we were filled with new experiences and insights every day. After driving 11,000 miles and visiting 31 states over seven weeks, we were pretty tired when we got home. Since then, we’ve been resting up, seeing family and getting ready for Adventure #2, in the Himalayas. We didn’t know before we left in July whether we would find these extended trips as invigorating as we expected. We’d always loved to travel but still … that’s a lot of miles, and we were so busy with everything that we barely knew what else was happening in the world. It turned out we loved it even more than we hoped. Now we leave on an even more challenging journey, this time to the country where we started our life together. We expect to spend some time in Kathmandu, then travel to Champa’s home town of Ilam, in eastern Nepal. Soon after we return to Kathmandu, we’ll welcome several members of our U.S. family, for a group trip and a meet-up of the two clans. Sorry, but we weren’t able to get a visa for G, the Blue Devil gnome, who will be staying home this time. However, I do expect to post on this blog, depending on the availability of electricity and an Internet connection, and hope some of you will find the journey interesting. Fingers crossed. Off we go again. Until we reach the other side of the world: Namaste for now.